A lot of technologies allow developers to use Flash based products, but there are specific issues in each case. 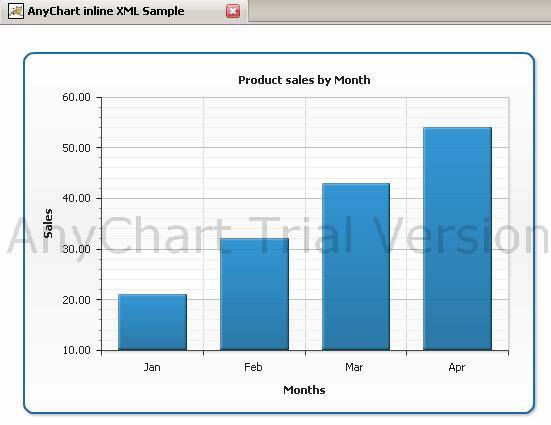 AnyChart Team have tried to creates samples that make the start of implementation of AnyChart easier and understandable. This particular sample explains how to use AnyChart Flash Charts, Maps, Gauges and Dashboards with JSP (Java Server Pages). 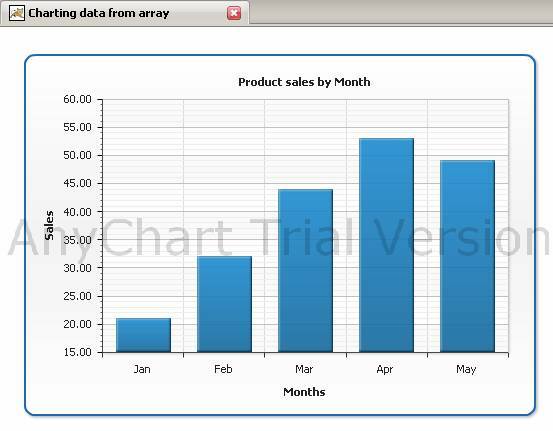 AnyChart is a Flash based solution for charting data and it accepts data in XML format. 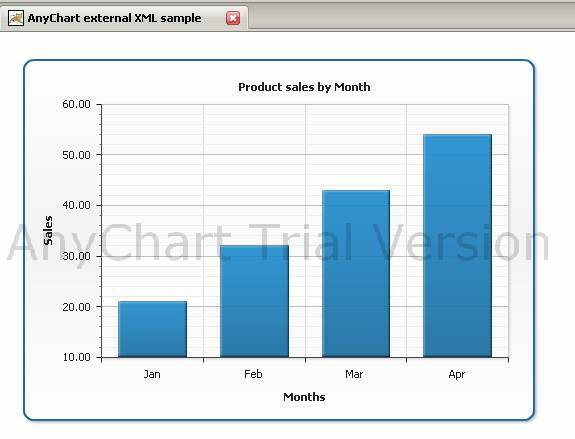 AnyChart for JSP Integration Library is an integration kit that helps to embed AnyChart into JSP pages. 1. Put AnyChart.jar into WEB-INF/lib folder of web-application project. xmlFile – chart xml settings and data url path. You can not only set url path in xmlFile attribute, but include XML directly in tag body in JSP page, you can omit root tag <anychart></anychart> in this case. Sample of xmlFile - see 3.3. Basic Usage with external XML. 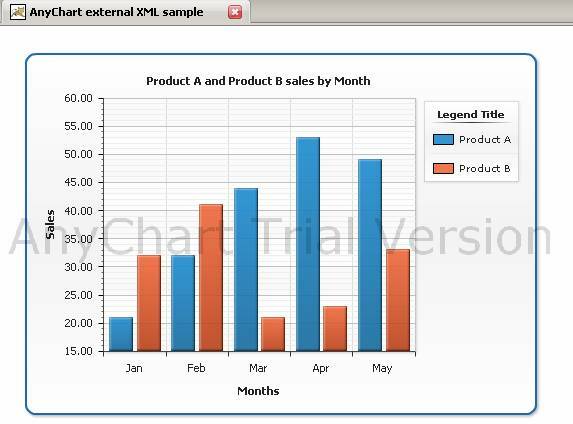 Add AnyChart.jar to the project and register AnyChart Filter in web.xml as it is shown in 1. Installation. Create XML data.xml with data and settings for AnyChart (copy XML from 3.2. XML Structure), place it to the same folder where your JSP page is located. Create XML with data and settings for AnyChart (copy XML from 3.2. XML Structure). Add XML as a subnode of <any:chart />. The task is to show summary sales volume per product to compare them. Add Gauge XML as a subnode of <any:gauge />.